+ FCC Dismisses Texas Ham's Fourth Petition, Calls it "Repetitive"
If you're an ARRL member, you now have access to the new digital edition of the June 2012 issue of QST. It is available to all ARRL members at no cost. All you need to do is log on to the ARRL website. Also available: digital editions of the January through May 2012 issues. You will find links to all the digital editions on our website. But wait -- there's more! All ARRL members now also have access to every issue of QST via the Periodicals Archive -- from the first issue, published in December 1915, through the December 2011 issue. You'll find more information about the digital edition in the FAQ (frequently asked questions) section. We hope you enjoy the new digital editions of QST. Unless you have chosen to opt out of the print edition, you will continue to receive QST in the mail each month. ARRL EXPO -- located in the Ball Arena Hall of the large Hara Arena -- included more than 20 exhibits staffed by ARRL program representatives. Among the new booths for 2012 was an exhibit introducing the new digital edition of QST, ARRL's membership journal. There were laptops, tablets and iPads on hand at the booth so hams could explore the online edition of QST. All ARRL members now have access to this exciting new member benefit. More than 115 volunteers. officers and ARRL HQ staff members made the trek to Dayton for the 2012 Dayton Hamvention. Check out more photos in our 2012 Dayton Hamvention photo album on our Facebook page. Visitors to the ARRL EXPO saw a lot of activities relating to DX, including DXCC card checking and a chance to drop off QSL cards for the ARRL Outgoing QSL Bureau. Representatives from the International Amateur Radio Union and IARU Member-Societies, including the Deutscher Amateur Radio Club, the Japan Amateur Radio League, the Qatar Amateur Radio Society and the Radio Society of Great Britain were on hand within the ARRL EXPO. "The theme of the 2012 Hamvention was Internationally Connected," explained ARRL Marketing Manager Bob Inderbitzen, NQ1R. "What better way to get connected than meeting with fellow radio amateurs from around the world?" Read more here. 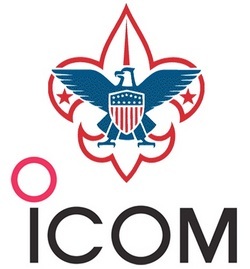 Against the backdrop of the 2012 Dayton Hamvention® -- the largest gathering of radio amateurs in the US -- ICOM America announced a sponsorship agreement with the Boy Scouts of America for the organization's 2012 National Scout Jamboree. As the BSA's official Amateur Radio transceiver supplier for the jamboree, ICOM will provide equipment and technical support for the K2BSA radio operation, the Radio merit badge and Jamboree on the Air. Read more here. CQ magazine announced its 2012 Hall of Fame inductees on May 18, welcoming 16 new members into the CQ Amateur Radio Hall of Fame, two new members of the CQ DX Hall of Fame and two new members of the CQ Contest Hall of Fame. The CQ Amateur Radio Hall of Fame honors those individuals, whether licensed hams or not, who have made significant contributions to Amateur Radio, as well as those amateurs who have made significant contributions either to Amateur Radio, to their professional careers or to some other aspect of life on our planet. The CQ Contest and DX Halls of Fame honor those amateurs who not only excel in personal performance in these major areas of Amateur Radio but who also "give back" to Amateur Radio in outstanding ways. Read more here. On May 15, Ohio Governor John Kasich signed a bill, granting comprehensive rights to Amateur Radio operators in that state. HB 158 codifies the federal restrictions on the local zoning of amateur station antenna structures, thereby preserving Amateur Radio Service communications as a Homeland Security resource, placing the burden of proof for compliance on the zoning authority. According to ARRL Ohio Section Manager Frank Piper, KI8GW, this places the full language of Section 97.15 into the Ohio Revised Code: "This new law law states that 'Any legislative authority that denies an application for approval of an amateur station antenna structure shall state the reasons for the denial and shall, on appeal, bear the burden of proving that the authority's actions are consistent with this section.' 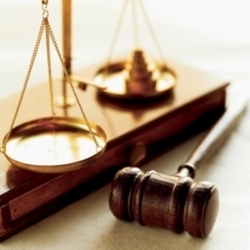 This language removes the burden of proof from the Amateur Radio operator and places it on the legislative authority." Read more here. Of the nine Section Manager elections this spring, two were decided by member balloting. Ballots were counted on May 22 at ARRL Headquarters. Terms for these ARRL Field Organization officials begin July 1. Lou Everett Sr, WA5LOU, of Indianapolis, was elected as the new Indiana Section Manager, and Paul Eakin, KJ4G, of Panacea, was re-elected as the North Florida Section Manager. Read more here. For the fourth time in six years, the FCC has rejected a Petition for Rulemaking filed by Glen Zook, K9STH. 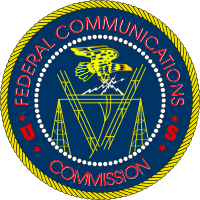 In each of his Petitions, (2006, April 2009, 2011 and a Petition for Reconsideration in December 2009), Zook has asked the FCC to change its station identification rules as set forth in Section 97.119(a). His 2011 Petition was no different: Zook told the FCC that since "[v]irtually every amateur station does not identify at the end of the communication," he requested that the station identification rule be amended to provide that if an amateur station transmits its call sign during its first transmission, that station need not transmit its call sign at the end of the transmission, provided that the transmission is less than three minutes. Zook called this the "3-minute rule." Read more here. The Sun, as seen on Thursday, May 24, 2012 from NASA's SOHO Extreme Ultraviolet Imaging Telescope. This MDI (Michelson Doppler Imager) image was taken in the continuum near the Ni I 6768 Angstrom line. The most prominent features are the sunspots. This is very much how the Sun looks in the visible range of the spectrum. Tad "Greater than stars or Suns" Cook, K7RA, reports: The average daily sunspot numbers declined seven points over the past week, to 110.3, while the average daily solar flux dropped 3.3 points to 131. These unsettled geomagnetic conditions over the past few days most likely resulted from an interplanetary shock wave due to a solar flare on May 20. The predicted planetary A index is 12, 5 and 8 on May 24-26, then 5 on May 27-28, 8 on May 29, 5 on May 30-June 4, then 8, 12, 15, 10 and 8 on June 5-9, followed by 5 on June 10-11, 8 on June 12-13, 5 on June 14-16, then 8, 15, 10 and 8 on June 17-20, and 5 on June 21-25. The predicted solar flux is 115 on May 24-25, 110 on May 26, 105 on May 27-30, 115 on May 31, then 120, 125, 125 and 130 on June 1-4, and 135 on June 5-9. Four new sunspot groups arose in the past week, on May 18, 20, 22 and 23. Until June 4, the predicted solar flux values are below the average for the past week, at 127.7. Look for more on the ARRL website on Friday, May 25. For more information concerning radio propagation, visit the ARRL Technical Information Service Propagation page. This week's "Tad Cookism" is brought to you by Ralph Vaughan Williams' Sea Symphony (IV The Explorers), taken from Walt Whitman's Leaves of Grass (Book XXVI, Passage to India, verse 8). Outside of his League activities, Mendelsohn was active both as the Communications Director of the New York City Marathon and, along with his wife Heidi, W2MLW, as the Game Day Frequency Coordinator (GDC) for the New York Jets. The November 2007 issue of QST featured Mendelsohn on its cover, along with an article about him and the GDC program. Mendelsohn was inducted into the CQ Hall of Fame last week for his contributions to the ARRL, the New York City Marathon and the National Football League. Read more here. James M. Mozley, W2BCH -- who served as Vice Director of the ARRL Atlantic Division from 1986-89 -- died May 13. He was 89. A long-time resident of Camillus, New York, Mozley was active in the ARRL Western New York Section as an Assistant Section Manager and as an Official Emergency Station. He also served as an Official Observer from 1991-2004. He also served as the Western New York Section Emergency Coordinator when Bill Thompson, W2MTA, became the Section Communications Manager in 1980. Read more here. ARRL Headquarters will be closed Monday, May 28 in observance of the Memorial Day holiday. There will be no W1AW code practice or bulletin transmissions that day. ARRL Headquarters will reopen Tuesday, May 29 at 8 AM (EDT). We wish everyone a safe and enjoyable holiday weekend! 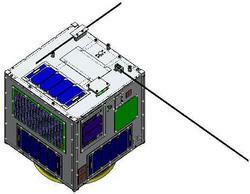 An artist's rendition of the HORYU-2 research satellite. The Japanese HORYU-2 research satellite was launched May 17 at 1639 UTC as part of a mission that included the JAXA climate observation satellite Shizuku. HORYU-2 was built by students at the Kyushu Institute of Technology (KIT) and it carries the call sign JG6YBW. The satellite will conduct a variety of experiments including high-voltage power generation and space debris measurements. Amateurs have been asked to monitor HORYU-2's Morse code and 1200-baud AX.25 packet telemetry at 437.375 MHz. Telemetry decoding software is available for download. To encourage hams to submit reports, KIT will conduct a monthly prize drawing. Details are available here.